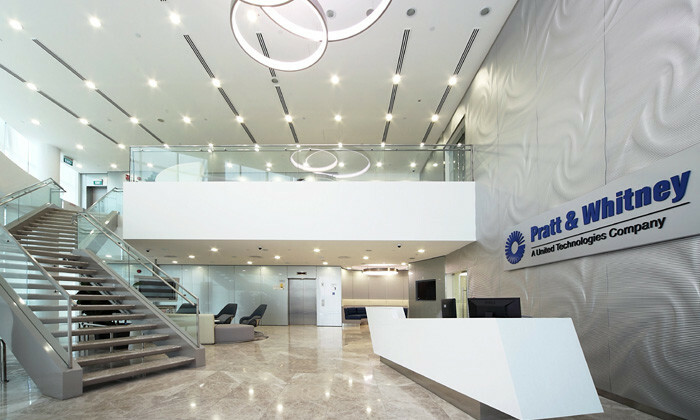 As a leader in the aerospace industry, Pratt & Whitney wanted the exterior and interior design as well as furnishings of its Singapore office to project a professional image. With a legacy that stretches back to more than 90 years, innovation is regarded as the lifeblood of business success at Pratt & Whitney. Being at the forefront of a cutting-edge industry means it is critical for the organisation to constantly reinvent itself in order to stay ahead of the curve. 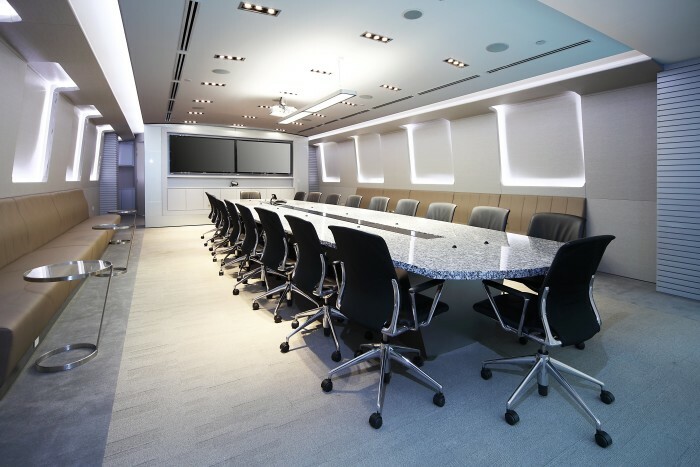 “At Pratt & Whitney, we recognise that work spaces shape our moods and thinking. After all, many of us spend a great deal of our day in the office,” Teo Ee Mei, Pratt & Whitney’s regional head of HR, said. As such, the firm sought to create a safe, functional, enjoyable, stimulating and productive environment for employees that would at the same time help to foster a culture of innovation at the workplace. The office was designed as an aircraft with a pantry at the heart of the facility on all levels as the main circulation area. 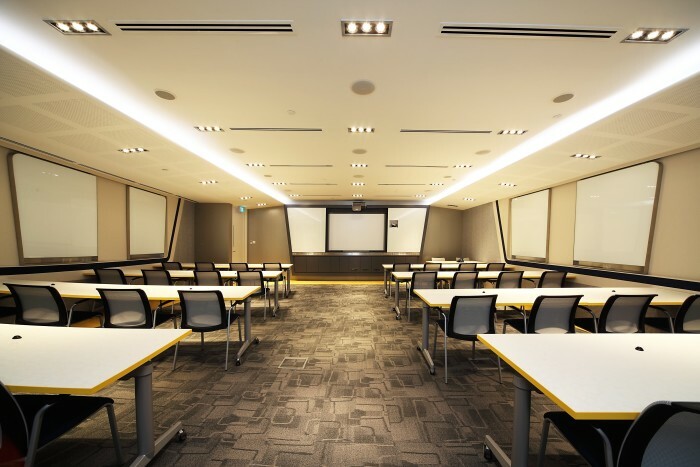 “Using the centre to spur dynamics, common enclosed spaces such as training room, meeting rooms and boardroom are extended to the ‘wings’ to encourage actions along the corridors,” the DB&B spokesperson added. 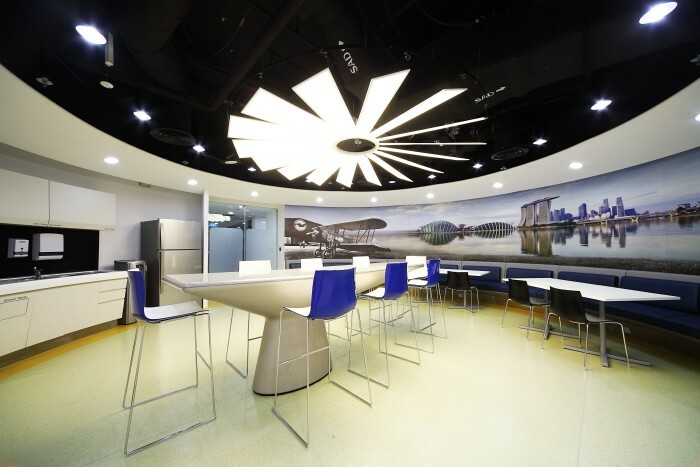 The aircraft theme in Pratt & Whitney’s office is presented in interesting ways throughout the office to transport employees from a corporate setting into aircraft cabins, forming altogether a novel working experience without being overwhelming. “A closer look reveals that the ceiling of the pantry is actually designed in the shape of a jet engine complete with fan blades. 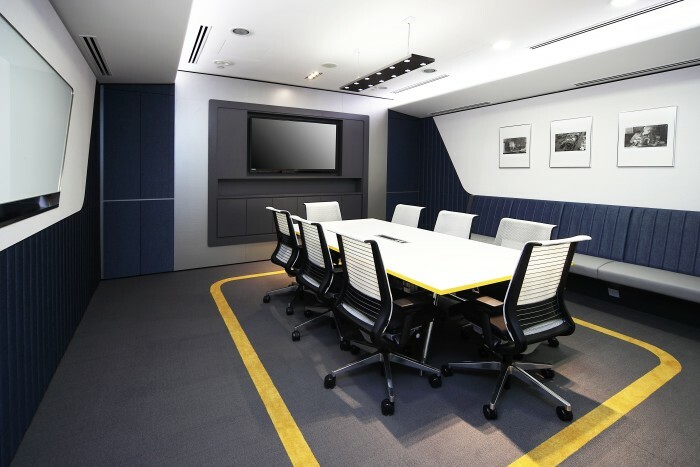 The multiple meeting rooms across the facility are also designed to resemble the interior of aircraft cabins, complete with cabin lightings and floor markings,” the DB&B spokesperson said. 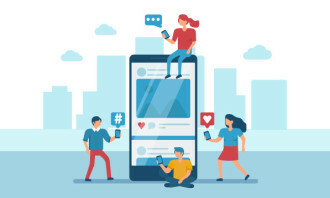 “This goes back to the principle that higher levels of interactions employees increases knowledge sharing and helps build greater team collaborations, which in turn has the knock-on effect of increasing productivity,” she explains. A piece of advice Teo would give companies that are planning on redecorating their offices is – an investment in the work environment has a positive impact on the company’s long-term success. “An investment into creating a comfortable, ergonomic and conducive work environment is essentially an investment into the workforce which will positively impact the long-term success of a company,” she explains. “We firmly believe that our people are the greatest assets for many organisations including Pratt & Whitney,” Teo said. Your employees don't care about work being in a great location, but they do expect reliable IT and a "safe" and "smart" office. 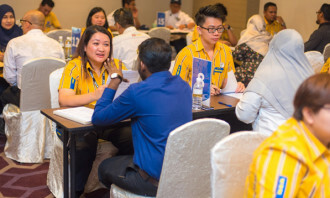 ..
Local bosses might be dropping the ball on promoting work-life balance more so than their Singapore and China counterparts, warns ..
Are you welcoming these groups into your workforce without performing background screenings?..